It's 16-year-old Edie who finds their mother Marianne dangling in the living room from an old jump rope, puddle of urine on the floor, barely alive. Upstairs, 14-year-old Mae had fallen into one of her trances, often a result of feeling too closely attuned to her mother's dark moods. After Marianne is unwillingly admitted to a mental hospital, Edie and Mae are forced to move from their childhood home in Louisiana to New York to live with their estranged father, Dennis, a former civil rights activist and literary figure on the other side of success. The girls, grieving and homesick, are at first wary of their father's affection, but soon Mae and Edie's close relationship begins to fall apart--Edie remains fiercely loyal to Marianne, convinced that Dennis is responsible for her mother's downfall, while Mae, suffocated by her striking resemblances to her mother, feels pulled toward their father. The girls move in increasingly opposing and destructive directions as they struggle to cope with outsized pain, and as the history of Dennis and Marianne's romantic past clicks into focus, the family fractures further. 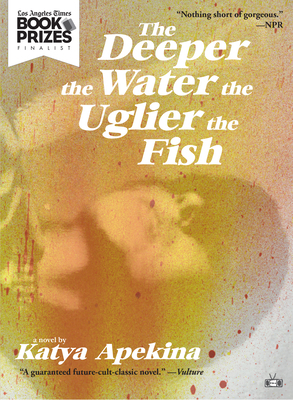 Moving through a selection of first-person accounts and written with a sinister sense of humor, The Deeper the Water the Uglier the Fish powerfully captures the quiet torment of two sisters craving the attention of a parent they can't, and shouldn't, have to themselves. In this captivating debut, Katya Apekina disquietingly crooks the lines between fact and fantasy, between escape and freedom, and between love and obsession.